It's full-fledged strawberry season here, and it's already been a very bountiful season. As you may have noticed from my post on our day at the u-pick, I picked 12 litres of strawberries last weekend and have been enjoy my haul ever since. 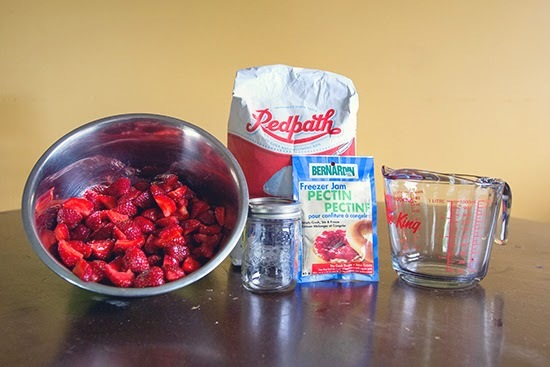 I made strawberry shortcake, froze three large freezer bags of strawberries, and took my first venture into the world of jam-making. I think it's fair to say that I've always been a bit intimidated by the idea of making jam. I picture a huge mess of bright red stickiness, loads of dishes to do, and have to do the whole bottling preservatives thing, which I don't know how to do. Actually, mastering the art of bottling fruits and vegetables is on my list of things to learn later this summer when I have to figure out what to do with the tomatoes from the 24 tomato plants I grew this year. Why did I plant 24? I have no idea. It's an experiment. Anyway, back to the strawberry jam. 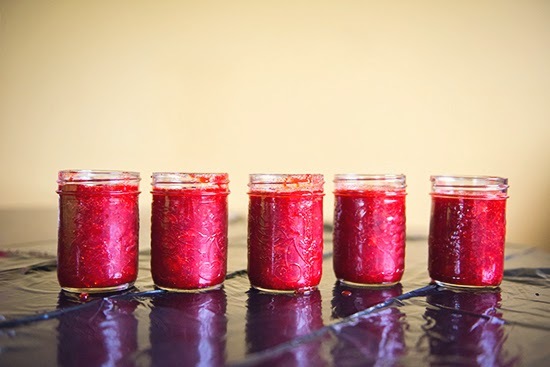 I love homemade strawberry jam, and often find that the store bought stuff has a funky taste that I don't really enjoy (mmmmmm, chemicals!). So I promised myself this would be the year I learned I made my own jam. And now I feel kind of like an idiot, because it was so. damn. easy. It's embarrassing actually, that I put off making my own jam for so long because I thought it was too hard. It was seriously so, so easy. 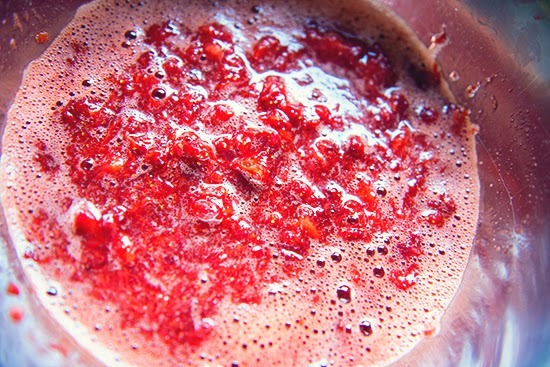 The key is to avoid all that boiling/cooking/canning silliness, and just make freezer jam. It's SO tasty. And now I have ten jars of delicious strawberry jam, just hanging out in my freezer waiting to be devoured. Now that I've discovered how simple it is, I really felt the need to share it with you creatives. 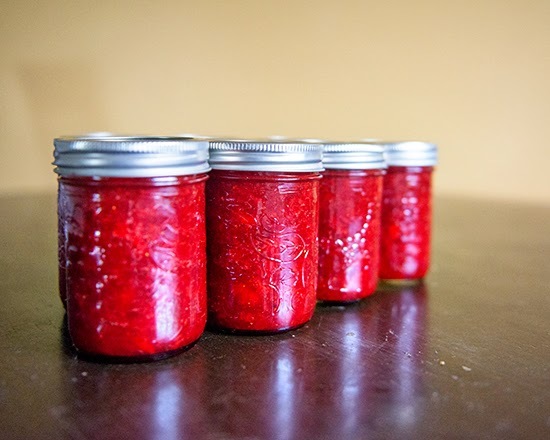 Some of you may be way ahead of me here, and already be jam making pros. But for those who, like me, find the idea of making jam intimating, this one's for you. First, wash, hull, and quarter your berries. Quartering them will make them easier for crushing later. 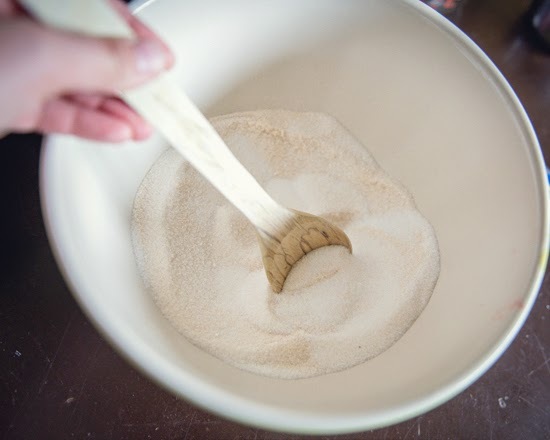 Next, in a large bowl measure your sugar, then add your pectin. Mix together thoroughly. 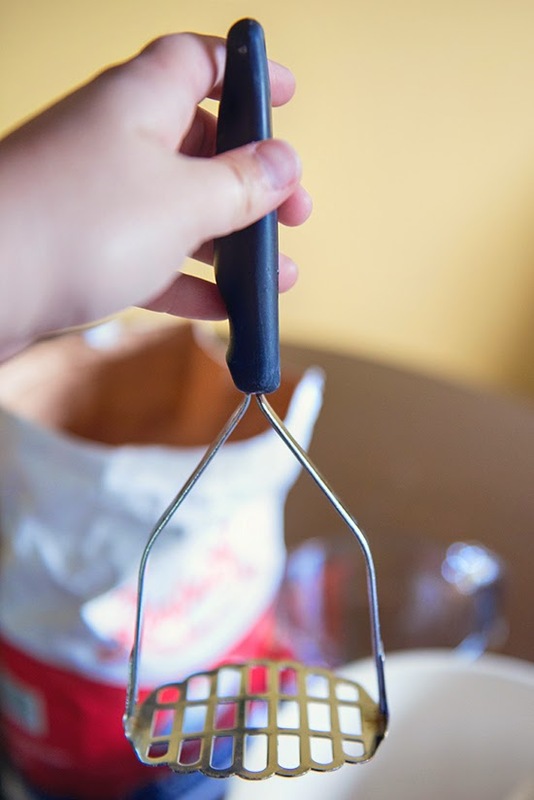 Crush them very well - unless you like chunky jam. Some people are into it. Your call. Measure out your crushed strawberries. 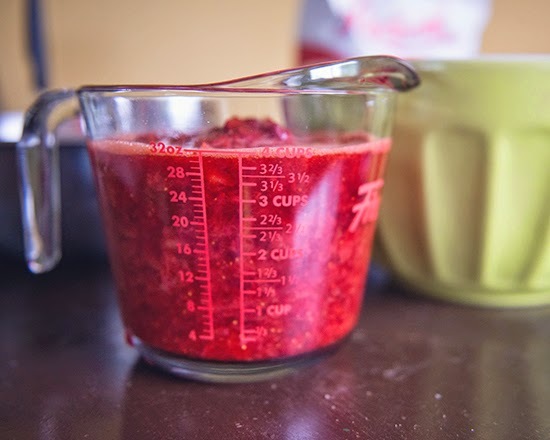 I made my jam in two separate batches, to ensure I had lots of room in the bowl for mixing, so I measured four cups of crushed strawberries. 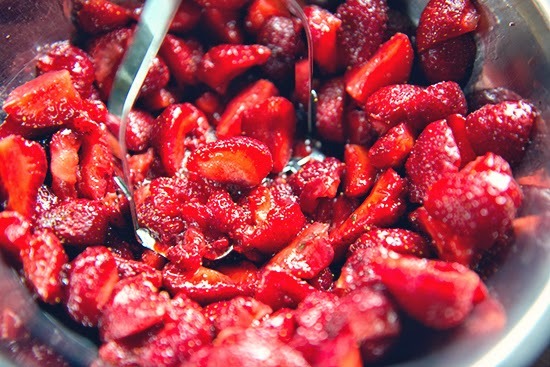 Add strawberries to the sugar/pectin mix, and stir for 3 minutes. Then you're ready to put them in the jars! This is a messy project, so I laid a plastic garbage bag over the table to catch all the stickiness. 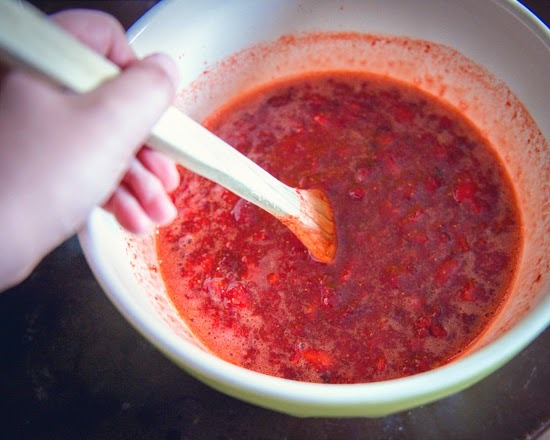 Using a soup ladle, ladle the jam into the jars, leaving at least a half inch at the top for the jam to expand in the freezer. 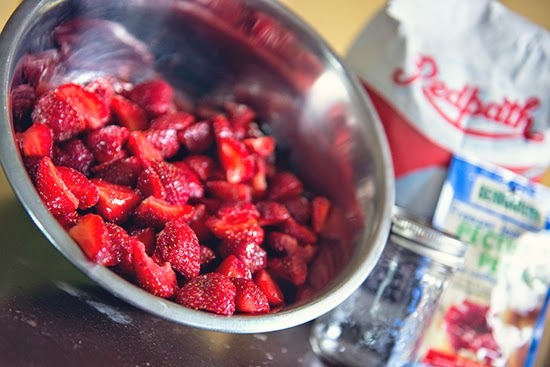 Put on the lids and let the jam sit at room temperature for about 30 minutes. Then you're done! You can either pop them in the fridge and use them within 3 weeks, or put them in the freezer where they'll at least as long as a year. Check out my instagram page to see a photo of the first thing I put my jam on (and my most favourite thing to put jam on). I hope I've inspired all you slightly domestically challenged souls such as myself to venture out into the world of jam making. 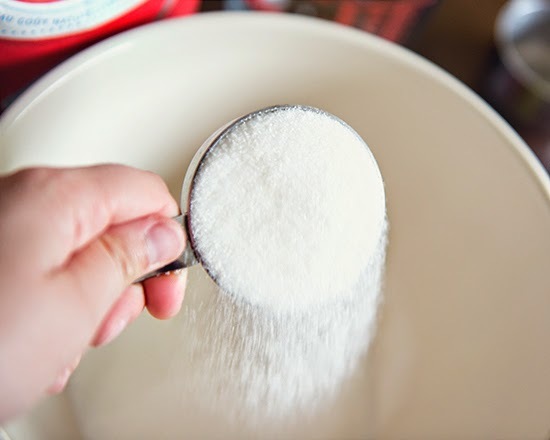 It's an easy and fun way to get creative in the kitchen! 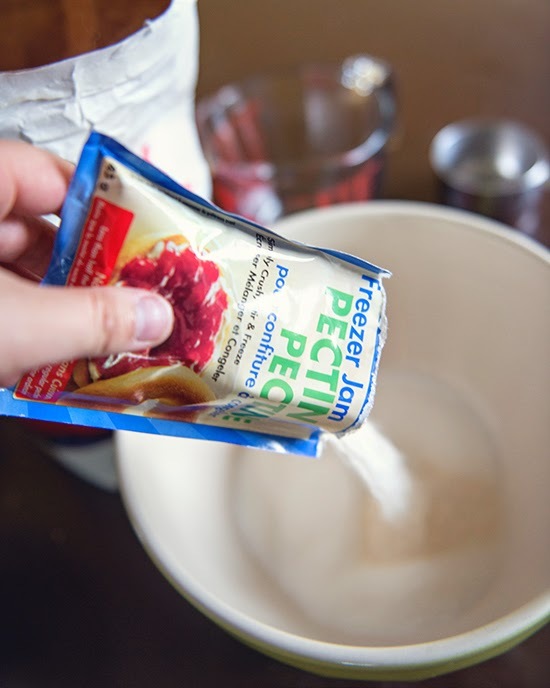 You could mix berries, use peaches, try different recipes. There are loads of fun possibilities. 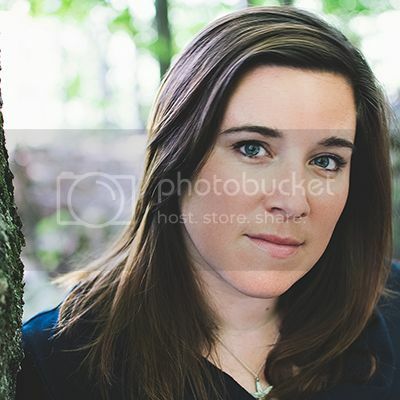 Amy is a full-time photographer based in Ottawa, Ontario, Canada. You can check out her work here and here.